This beautifully decorated flute has a 'magical inner life’. 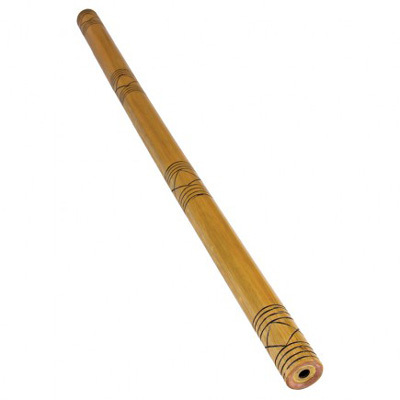 By blowing into the wide opening of the bamboo pipe softly (from a distance of approx. 3 cm) you can produce fine harmonics. Another way of ‘playing’ it is by whirling it through the air (for example when juggling) – a way in which it can be used to great and surprising effect. distance of approx. 3 cm) you can produce fine harmonics. Another way of ‘playing’ it is by whirling it through the air (for example when juggling) – a way in which it can be used to great and surprising effect.